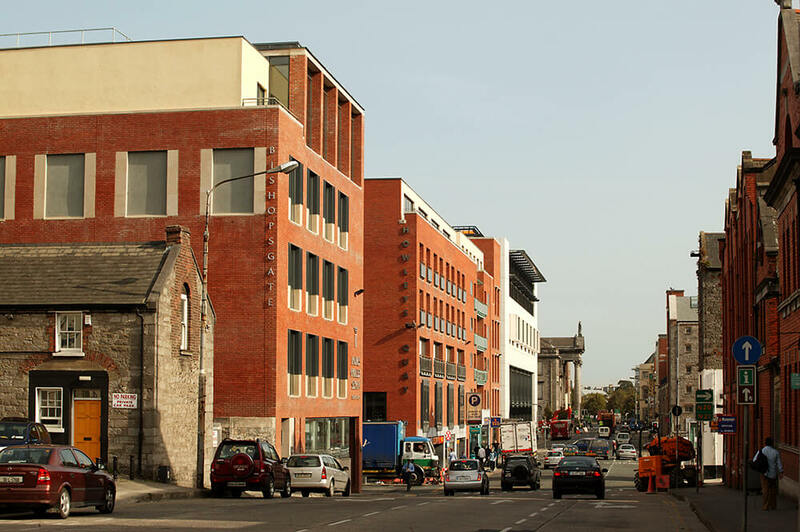 The building is one of a series rebuilding the urban fabric of the city district between O Connell Street and the Shannon. 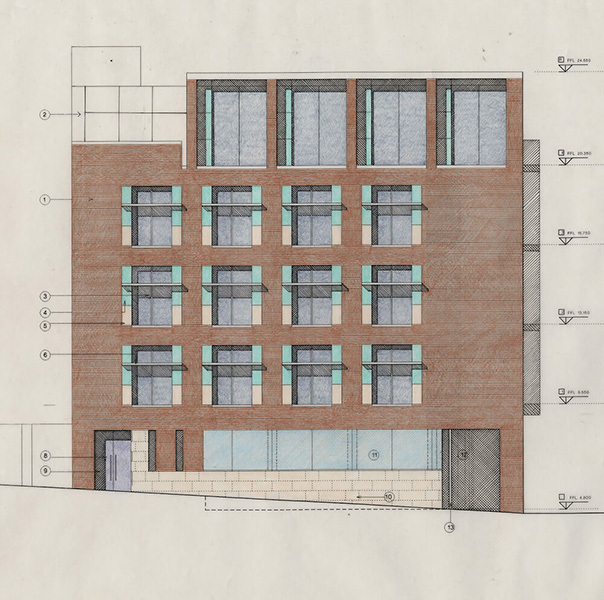 Our brief was to design a four storey over basement building suitable for office use. 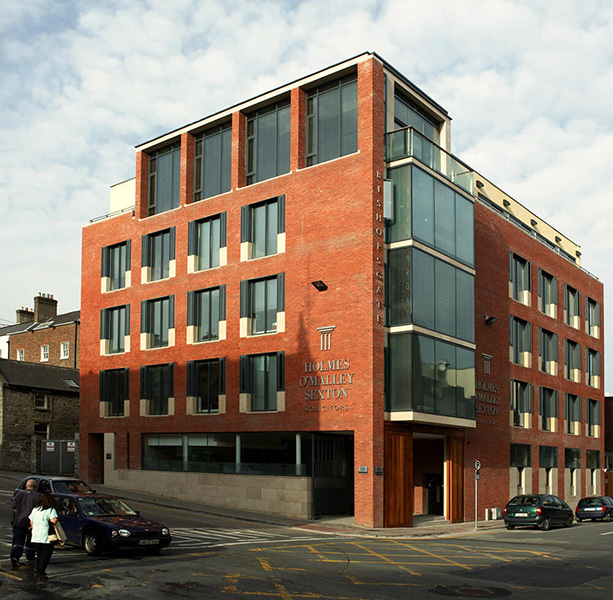 The tenants were a prominent firm of solicitors. 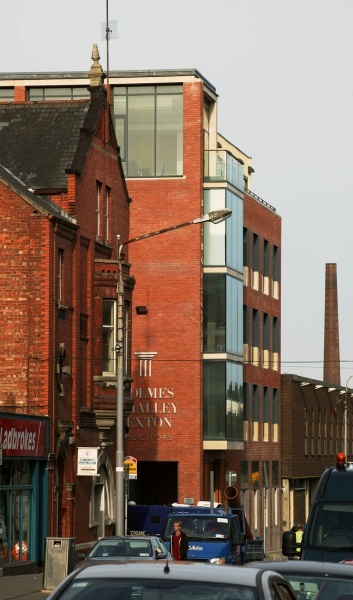 The building occupies a prominent corner site, with expanded views along the gridiron pattern of streets. 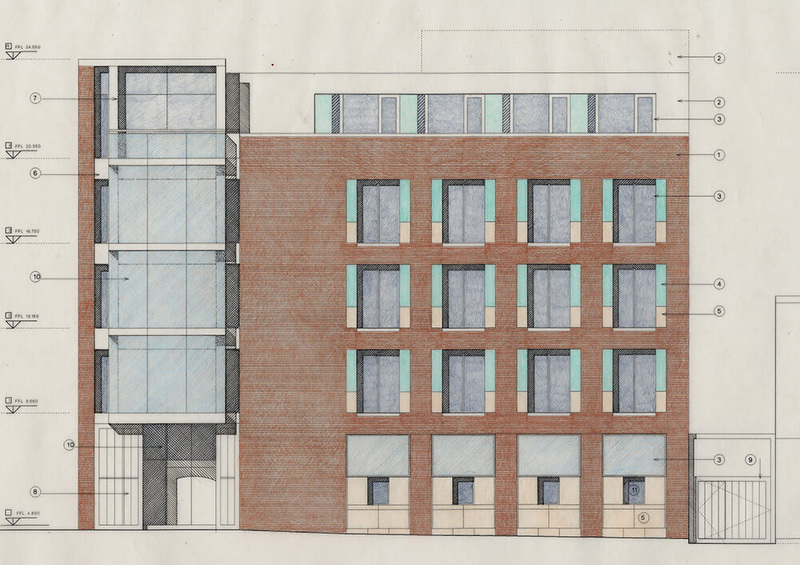 The site is adjacent to underdeveloped plots and it is anticipated these will eventually be redeveloped to similar heights. Apart from maximising the floorplate, there was a specific requirement to maximise natural light, which we did by inserting a lightwell, clad in the Victorian manner with white ceramic tiles. It was intended that all cellular offices would be arranged around the perimeter, with open plan areas addressing the lightwell. Meeting rooms and staff restaurants were placed on the top floor, with terraces looking out to the city. 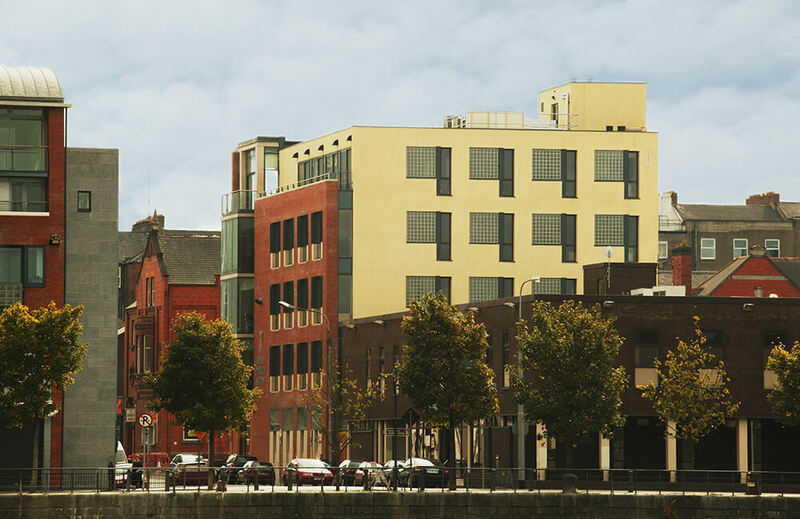 Materials are the Limerick palette of red brick, Jura limestone and glass. The architectural game is proportion and composition of solid and void. Glazed walls on the ground floor are not always desirable in office buildings and here openings are designed to maximize privacy, while still addressing the street in an urbane and polite manner.